The City of Colwood Public Works team is all geared up for winter ice and snow removal...but we need your help! We need to work together as a community during winter icy and snowy conditions to keep streets and sidewalks clear and safe, and keep people, goods, and services moving. Ice removal: When the weather drops below zero, the Colwood public works team gets busy applying a brine solution to keep roads clear of ice. 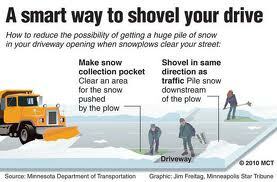 The solution is 23% salt which is considered optimum for our west coast conditions (Winnipeg uses 100% salt). Because the brine solution can last for up to 5 days on the road surface, it is often applied in advance of an icy night in the forecast. Getting the job done within working hours reduces the added cost of overtime work. Parking: In the event of a snowfall, please do not park on the travelled portion of the roads. 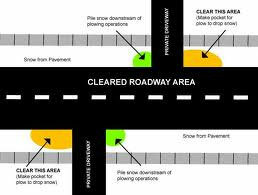 Snow plows need to be able to negotiate the roads and get them cleared as quickly as possible. Your cooperation is greatly appreciated. Vehicles parked contrary to traffic signage may need to be towed. Cul-de-sacs: Vehicles parked on cul-de-sacs obstruct snow plows and will prevent those roads from being cleared. Sidewalks: Property owners are responsible for clearing snow and ice from sidewalks and footpaths adjacent to their property. Private roads: Maintenance of private roads, including snow and ice removal, is the responsibility of the property owners. Please make arrangements to maintain private roadways and drainage systems. A tip for driveway snow removal: Pile the snow to the right of your driveway (facing the road from your home) so that when the snow plow comes by, it does not push the snow back across your driveway entrance or private road access. It takes a community: If you are able, please offer to help elderly or other neighbours who may need assistance with snow clearing. Please avoid driving during extreme conditions. Use alternate transportation whenever possible. If you must drive, ensure your vehicle has good winter tires, carry chains, lower your speed and keep a safe distance from others. Find more winter driving tips from DriveBC .